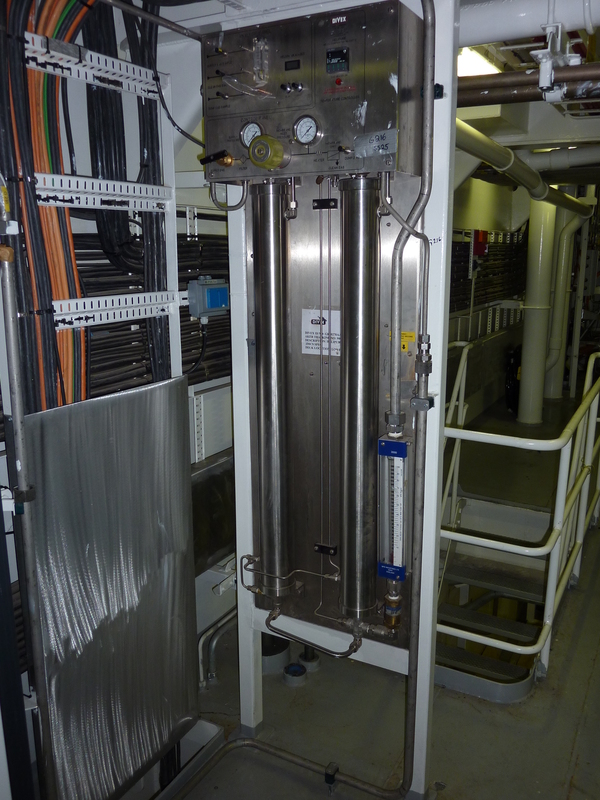 Utilising membrane separation technology, the Divex Helipure system allows the removal of nitrogen, oxygen and argon from reclaimed chamber gas. 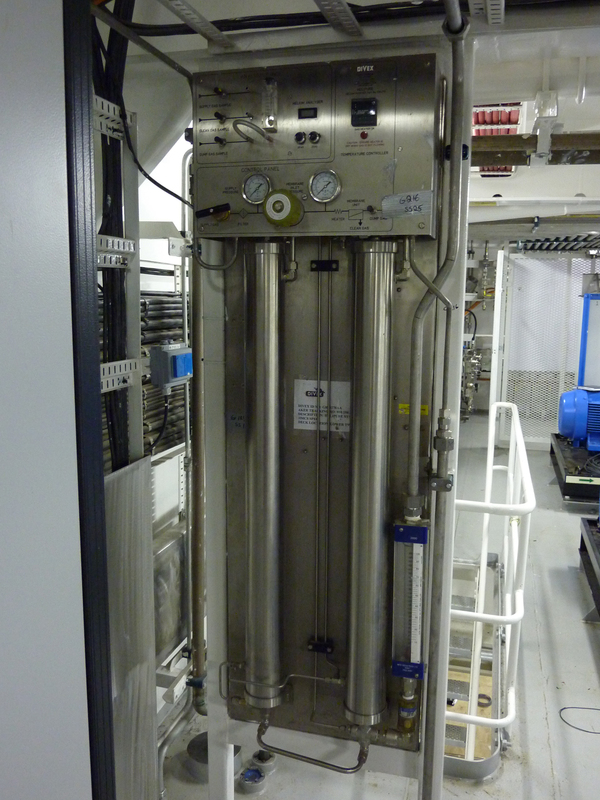 Used in conjunction with the Divex Gaspure chamber gas recovery system, Helipure eliminates the build up of nitrogen which can affect decompression, and oxygen removal enables the gas to be readied for deeper operations. 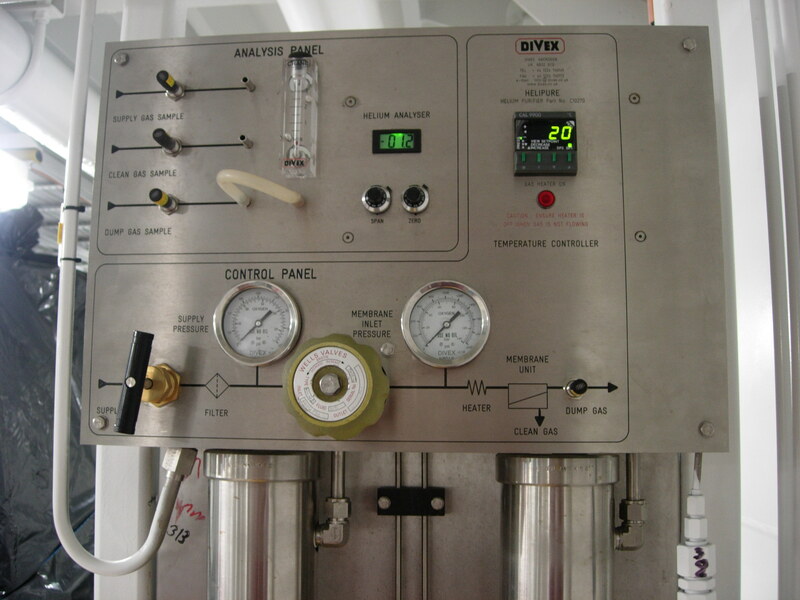 From January 2014, all Helipure systems are equipped with the Analox ATA helium analyser. This new unit allows for greater accuracy in analysis of gas mixes, and is available as an upgrade kit for existing Helipure systems to replace the current sensor. Please see 'Related documents' for the installation instructions for the upgrade kit. The above performance is based on a single pass optimised for recovery. Due to the very high recovery rates the dump flow can be increased, which reduces recovery, but improves the outlet purity. Also the exceptionally high recoveries mean that multipasses of the process gas can be made without significant loss. Each pass will reduce the contaminants by one further order of magnitude. The Helipure servicing course has been designed to provide participants with the skills required to correctly operate, maintain and service the JFD Helipure system.